It’s all positive emotions for this sweet strawberry treat! 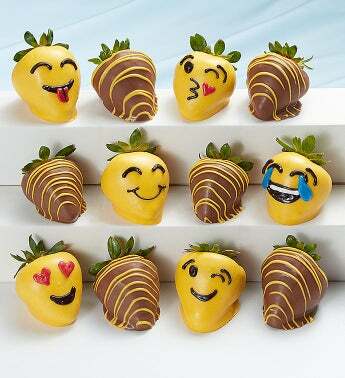 We’ve taken our plump, juicy strawberries and hand-decorated them into popular emoticons with some mouthwatering chocolate and a little imagination. Then we drizzled the rest for a berry fun extra treat.